Device-makers have turned their attention to another rising wearable trend: smart fabric. What hath data wrought? Sensor-covered clothing, it seems. 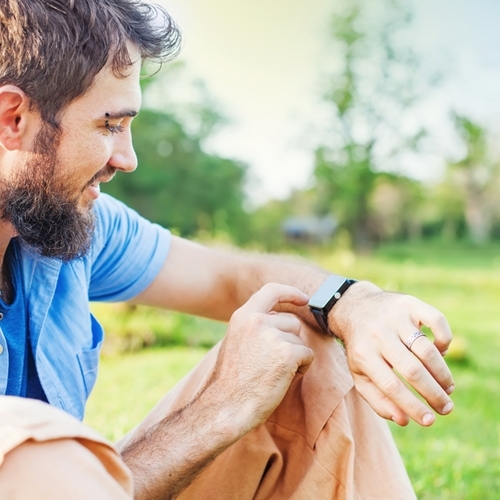 In recent years, the wearable technology market has taken off with consumers gobbling up enough smart watches and fitness trackers to outfit almost three-quarters of the U.S. population, reported information technology researcher Gartner. However, as of late, device-makers have turned their attention to another rising wearable trend: smart fabric. The stuff has been around for a couple years. In fact, fashion label Ralph Lauren in 2014 debuted data-driven tennis gear at the U.S. Open, reported The New York Times. Ball boys at the tournament donned polo shirts wired with electronic sensors to measure and report vital signs. Over the last year, other clothing designers caught on and started offering similar products. Athletic brands like Nike now offer clothes made with sewn-in sensors. More traditional clothing companies are even embracing the trend. According to CNN Money, Levi’s, in partnership with Google, is in the process of developing jeans and jackets that can interact with smartphones and other devices. Smart athletic wear is the future of wearable technology. Government entities are also testing the waters. The Department of Defense is currently collaborating with engineers from the Massachusetts Institute of Technology and Nike to create uniforms that change colors and make combat personnel invisible to enemy combatants equipped with night-vision technology. The DoD committed $75 million to the project, reported The Boston Herald. Additionally, the Department of Commerce, along with Industrial Fabrics Association International, hosted the first ever Smart Fabrics Summit April 11 in Washington D.C.
Those in the textile sector are indeed benefiting from the rise of smart fabric, reported The Times. VF Corporation, the global retailer behind brands like Eastpack, North Face and Timberland, has already seen growth due such technology. Over the last two years, the company expanded its research and development department to address possible client requests, adding almost 1,000 jobs to the payroll. Even organizations in outside industries are benefiting. Computer chip producers like Analog Devices and Intel are a part of the DoD project. So is medical device manufacturer Medtronic. These organizations and myriad others are banking on the viability of smart fabric. Many believe data-driven garments are the future. Though widespread smart fabric adoption is years off, you can prepare for the inevitable rush by updating your current point of sale and inventory system. Visual Retail Plus offers a flexible platform nimble enough to fit all businesses, big and small. Ready to make the switch? Contact us today.